Did you know that holding a grudge can be beneficial to you? I am serious. This is a discovery from the last years of my life. I don’t call it holding a grudge, I call it “simmering”. Grudges are a part of many people’s lives; people hold grudges against their partner, family members, colleagues, friends and neighbours. I read many times that grudges are for those who insist that they are owed something; forgiveness, however, is for those who are substantial enough to move on. And herein is my point. This is how to process a grudge so that it becomes beneficial to you. When you realize that you are holding a grudge allow it to come in, sit with it, SIMMER, mull it over, let it be. Do not act upon it, we tend to think or feel that we must do something about it. This is a tricky part. 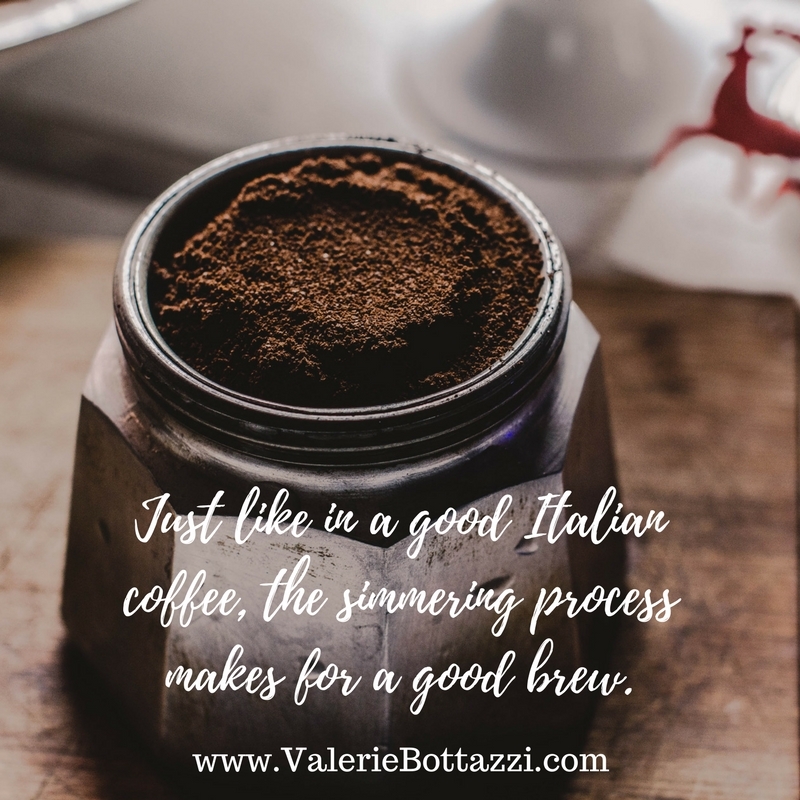 We tend to want that “grudging” energy to leave but the truth is that it won’t leave unless you simmer through until it becomes a good coffee. Energy is always circulating, it is not static, so when you allow the grudge to be, when you dialogue with it and ask what it is trying to show you, when you look into your own part of the interaction that created the grudge, when you see the mirror the grudge is showing you, the energy moves and transforms and simmers and distills. Suddenly in one instant, you don’t feel the grudge anymore. It has dissolved. You don’t need to DO anything, it has simply flowed through you leaving you the lessons from the answers to your questions and observations. Forgiveness comes. You don’t have to give it or do it, it is the natural result of simmering and releasing. Sure, sitting through the process is uncomfortable. We have not been shown to live THROUGH the E-MOTIONS, we have been taught to suppress them, to deny them, to pent them up. But allowing the e-motion to e-mote, to move, to flow and circulate is liberating. There you have it. Holding a grudge can be beneficial to you. By not re-acting to it and creating a build up and more re-action, but by simmering in it and let it dissolve, you learn, you grow, your heart expands and you are set free. I would love to hear your opinion! Let me know your thoughts. Contact me and let us talk!